Python projects development on Google App Engine Cloud Platform. Google App Engine is the first publicly-available dynamic runtime and storage environment for Python applications, based on large-scale proprietary computing systems hosted by Google. Google App Engine was introduced back in 2008 as a cloud application hosting service that supported Python applications. This was an attempt to make cloud computing a reality. 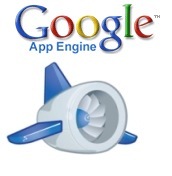 Possibilities that are opened up by Google App Engine are really exciting. Google App Engine allows writing and uploading Python web applications; having them run on Google infrastructure. Quintagroup develops and deploys Python projects with Google App Engine. We are trying to use the newest technologies to get better results while saving the costs. Quintagroup used Google App Engine possibilities for caching skins.quintagroup.com Plone-based website. As a result of implemented caching system, our site speed and performance levels have increased dramatically. Interested in deploying Python application on Google App Engine? Don’t hesitate to contact us today to request a quote and receive qualified consulting and services.